-SG- Derek had this nice 1928 Model 18 at the Banbury Run earlier this month, where it performed with its usual reliability. 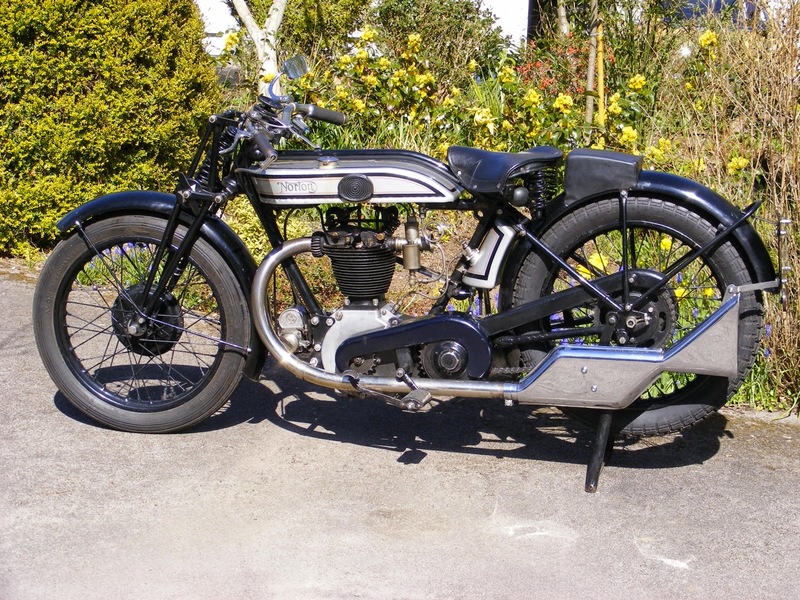 It was first despatched to Petersens, Norton's Danish agents in March 1928 and re-imported into UK just a few years back. It still has matching frame, engine and gearbox numbers although it now wears a brass 1 1/8" bore Amal in place of the original Brown and Barlow - and a rather sporty primary chain guard and silencer.